The fine pixel pitch LED displays market report provides analysis for the period 2014–2024, wherein the period from 2016 to 2024 is the forecast and 2015 is the base year. The report covers all the major trends and technologies playing a key role in the fine pixel pitch LED displays market’s growth over the forecast period. It also highlights the drivers, restraints, and opportunities expected to influence the market’s growth during the said period in terms of revenue (in US$ Mn) and volume (in square meters), across the geographies including North America, Latin America, Western Europe, Eastern Europe, Asia Pacific, and Middle East & Africa (MEA). North America comprises of the U.S. and Canada, while Latin America covers Mexico, Brazil, and Rest of Latin America. Western Europe region covers the U.K., Germany, France, Spain, Italy, Nordic, Benelux, and Rest of Europe, while Eastern Europe comprises of Russia, Poland, and Rest of Eastern Europe. Furthermore, the Asia Pacific is divided into China, India, Japan, ASEAN, ANZ, and rest of Asia Pacific. MEA covers Gulf Cooperation Council (GCC), North Africa, South Africa, and Rest of Middle East and Africa. Key trends have been provided for every geographical segment in the report in order to give a thorough analysis of the overall state of the fine pixel pitch LED displays market, globally. 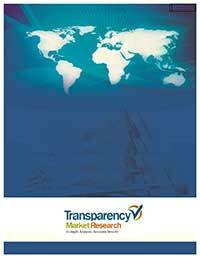 Moreover, the report provides an overview of the various strategies of key players in the market. The report segments the North America, Latin America, Western Europe, Eastern Europe, Asia Pacific, and MEA fine pixel pitch LED displays market on the basis of type into upto 3mm, 2mm to 1mm, and <1mm. Depending on the sales channel, the market is categorized into retail shops, e-commerce websites, and direct sales. Furthermore, on the basis of applications the fine pixel pitch LED displays market is divided into broadcast screens, digital signage, control rooms and monitoring applications, visualization and simulation applications, and others. The report covers average selling price (ASP) for upto 3mm, 2mm to 1mm, and <1mm fine pixel pitch LED displays for the year 2015 and forecasts the ASP for 2024. The report emphasizes on understanding regulations related to LED displays in the global market. Thus, the report provides in-depth cross-segment analysis of the fine pixel pitch LED displays market and classifies it at various levels, providing valuable insights at the macro and micro levels. The report also highlights the competitive landscape of the fine pixel pitch LED displays market, positioning all the major players according to their geographic presence, solutions/services offered, focus on research and development, and key recent developments. The comprehensive fine pixel pitch LED displays market estimates are the result of our in-depth secondary research, primary interviews, and in-house expert panel reviews. These market estimates have been analyzed by taking into account the impact of different political, social, economic, technological, and legal factors along with the current market dynamics affecting the fine pixel pitch LED displays market’s growth. The major companies profiled in fine pixel pitch LED displays market study include NEC Display Solutions, Ltd., Leyard Optoelectronic Co. Ltd., Shenzhen AOTO Electronics Co. Ltd., Panasonic Corporation, SiliconCore Technology, Inc., PixelFLEX LED, NanoLumens, Inc., Christie Digital Systems USA, Inc., Unilumin, Shenzhen Absen Optoelectronic Co., Ltd., Daktronics, Inc., and Barco. Details such as financials, business strategies, recent developments, and other such strategic information pertaining to these players have been duly provided as part of company profiling.